Former Olympic gold medalist and UFC commentator Jeff Blatnick passed away on Wednesday following complications after having heart surgery. Blatnick was 55 years of age at the time of his passing. A gold medalist in wrestling in 1984, Blatnick was one of the first Americans to ever capture the gold in the Greco-Roman category. 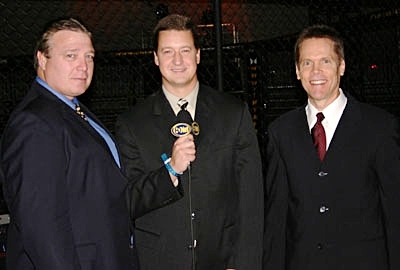 In 1994, Blatnick joined the UFC as a color commentator and advisor, where he continued to work for the next 7 years. His last show with the promotion was UFC 32 in June, 2001. Blatnick helped develop some of the unified rules of MMA still used in competition today, and eventually he became a licensed judge and referee with the New Jersey State Athletic Commission. A staple of the wrestling community as well, Blatnick worked closely with young athletes, and coached at the high school level up until his passing on Wednesday. Blatnick is survived by his wife and two children.